Traditionally, performance management and probe systems have been separate systems, used by separate teams. This used to work as long as the network teams were focused only on the network itself. Today, however, all teams within CSP are focused on the customer and the experience delivered by the networks and services. Having separate systems for different teams often makes it hard to communicate effectively between teams. With Polystar, it is possible to consolidate several systems into a single solution. There is no need for a separate performance management system that uses data not available anywhere else. Multi-vendor, multi-technology performance reports to create insights into the state of your networks. 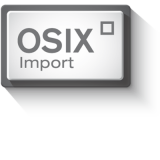 Performance management data, for example OSS counters from network elements, is collected, mediated and stored by OSIX Import. Users operate in the analytics tool KALIX, where reports, KPIs and portals deliver performance information from across your multi-vendor, multi-technology networks. Because the data is stored in the same databases and other teams also use KALIX, it is easy to communicate between teams around issues with services and networks. Polystar’s Performance Management solution integrates with other systems: fault management, alarms, external data bases, other collection systems. It helps you improve your communication between teams and makes problem solving a team effort. Scales to handle any size of network. Supports large number of users. Extensive range of libraries of interfaces and reports. High-performance to process large amounts of data each day. An intelligent loading process ensures that you will always know what is available, what is missing, and the reasons for it.